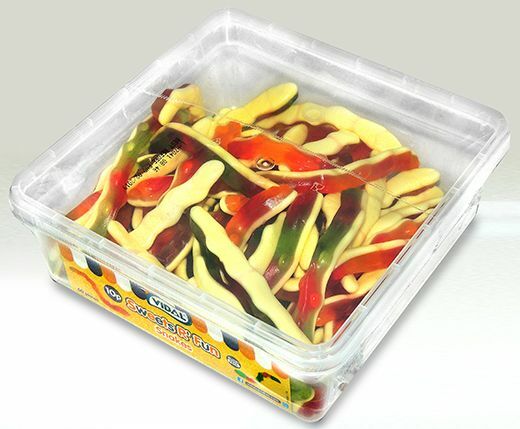 These slippery critters are the only snake you want in your sweetie collection a 10p piece of yellow friuty coloured gummie piece that you can stretch and curl giving you a truly gummie experience where you do the biting not the snake. These snakes are packed in 60`s and a case will hold 6 tubs. Many of these snakes are looking for a warm home is your tummy suitable?